United Iron Works manufactured all sorts of metal things, but I had no idea until I spotted this on a sidewalk a few weeks ago. United Iron Works had that name from 1904 until 1955 and operated out of a complex of buildings, built starting in the 1880s, on both sides of 2nd Street between Clay and Jefferson Streets. Today a Cost Plus market sits where the foundry used to be, and a Bed Bath & Beyond store occupies one of the surviving buildings. The whole complex is a registered historic landmark. 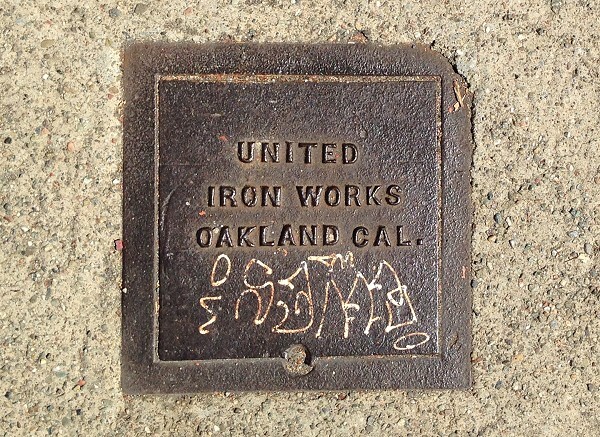 The company was founded as Oakland Iron Works in 1871, according to the landmark application, and was reorganized as United Iron Works in 1904. 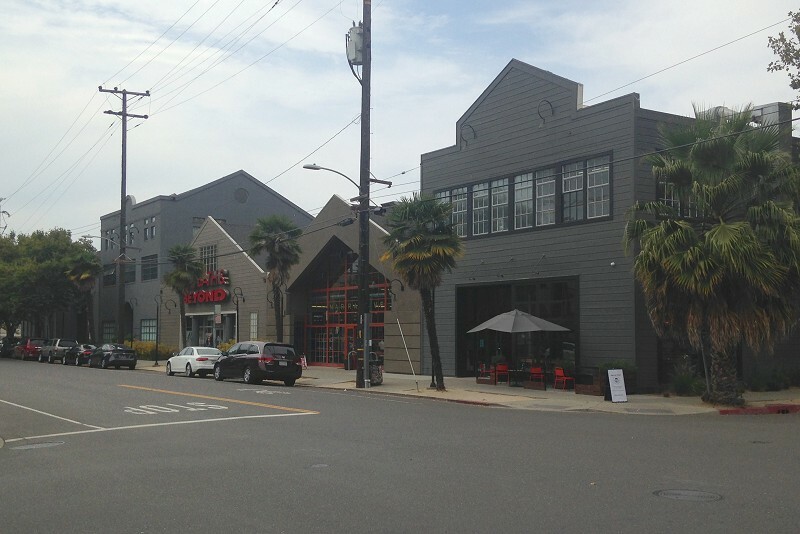 The renovated complex is called Oakland Ironworks today. 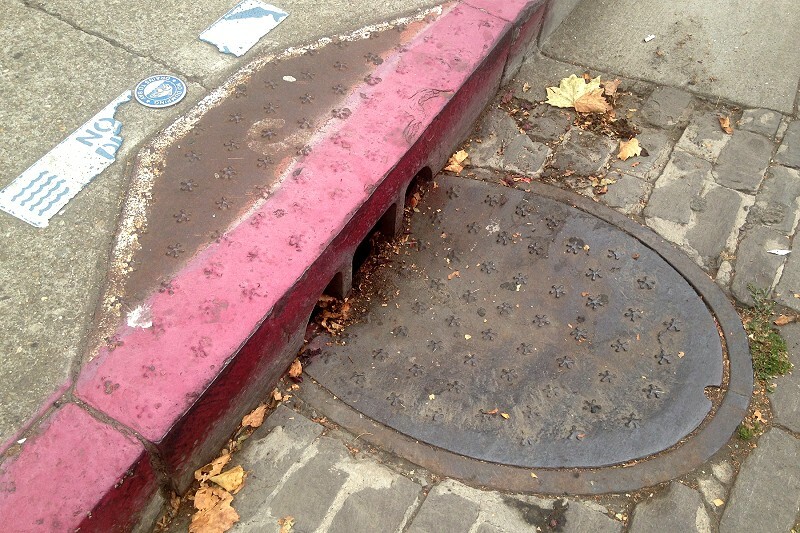 I have a suspicion that the firm made this interesting street drain just across Clay. I’ve been here a hundred times and never noticed it until just now. This entry was posted on 4 August 2017 at 8:03 am and is filed under Streetscape. You can follow any responses to this entry through the RSS 2.0 feed. You can skip to the end and leave a response. Pinging is currently not allowed.